At the heart of every Maserati is the ideology of grand touring, a concept that began in 1947 with the A6 1500 GT Pininfarina. It was at this time that Maserati had equipped a coupe with an engine built for a race car, and thus inspired the GranTurismo we know today. The Maserati GranTurismo offers tantalizing style, sophistication, progressive technology, and surging power for its drivers. Recognized for its timeless design, the GranTurismo reflects the finest automotive art. From the aggressively sculpted grille, triple-side vents, aerodynamic shape are at the base of each of the grand touring coupe. Careful skill and craftsmanship are applied to every detail throughout the interior including headrests embroidered with the trident, hand-stitching throughout the cabin, and sport seats are available in lavish Poltrona Frau leather or Alcantara. Trims are also available in wood, carbon-fiber, and MC Edition aluminum. 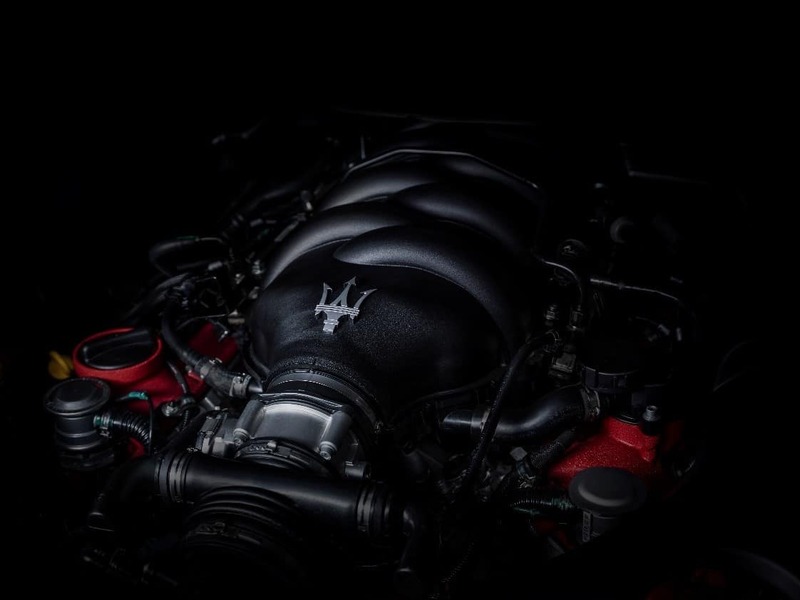 True-to-nature for grand touring coupes, the Maserati GranTurismo requires an engine that’s on a grand scale with continent-crossing capabilities and ruthless performance. The Ferrari-built V8 4.7-liter engine delivers that and much more for the driver. 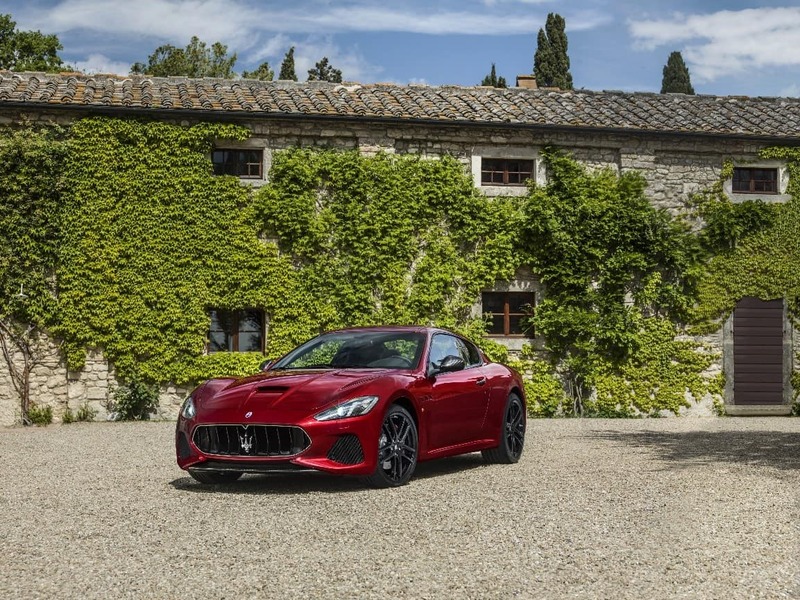 Double-wishbone suspension and hydraulic steering work in conjunction with ZF six-speed MC Auto Shift gearbox and limited-slip differential to provide better performance and handling for the 2019 GranTurismo. Drive modes offered in the luxury coupe include Auto-Normal, Auto-Sport, Manual-Normal, Manual-Sport, and Increased Control and Efficiency (I.C.E.). Each mode enhances performance and handling for different driving conditions and allows for a higher-level of control. The latest Maserati infotainment package in the GranTurismo puts the focus on intuitive engagement, real-world assistance, in addition to adaptable enjoyment. The MTC+ is an 8.4-inch multi-touchscreen display with center console rotary control is at the center of the infotainment hub. The MTC+ flows effortlessly with the interior design of the GranTurismo and puts the driver in control. Configurable menus allow consumers to personalize the system to fit their specifications. Navigating the system can be done through voice command, touch, or the console rotary control. Drivers have the luxury of enjoying a 1-year trial1 of SiriusXM® Radio and a 5-year trial1 of SiriusXM® Traffic and Travel Link. Also standard in the GranTurismo is a 10-speaker Harman Kardon Premium Audio System. The Maserati infotainment system easily pairs with the iPhone® through Apple CarPlay® as well as Android™ through Android Auto™. Mirroring the phone’s screen, drivers can respond to calls and emails, access music, and find nearby restaurants with complete ease. Drivers who require high-end performance in a luxury grand touring coupe will enjoy the world-class 2019 GranTurismo. The newest model is currently in our showroom on Central Ave in Albany, New York. 1 SiriusXM subscriptions for audio and data services are sold by SiriusXM to follow your trial subscription. If you decide to continue listening after your trial, the subscription plan you choose will automatically renew thereafter and you will be charged according to your chosen payment method at then-current rates. Fees and taxes apply. To cancel, you must call SiriusXM at 1-866-635-2349. See the SiriusXM Customer Agreement for complete terms and more information at www.siriusxm.com. All fees and programming subject to change. Your equipment and features for SiriusXM services will vary depending upon the vehicle you select and may be limited in select markets.